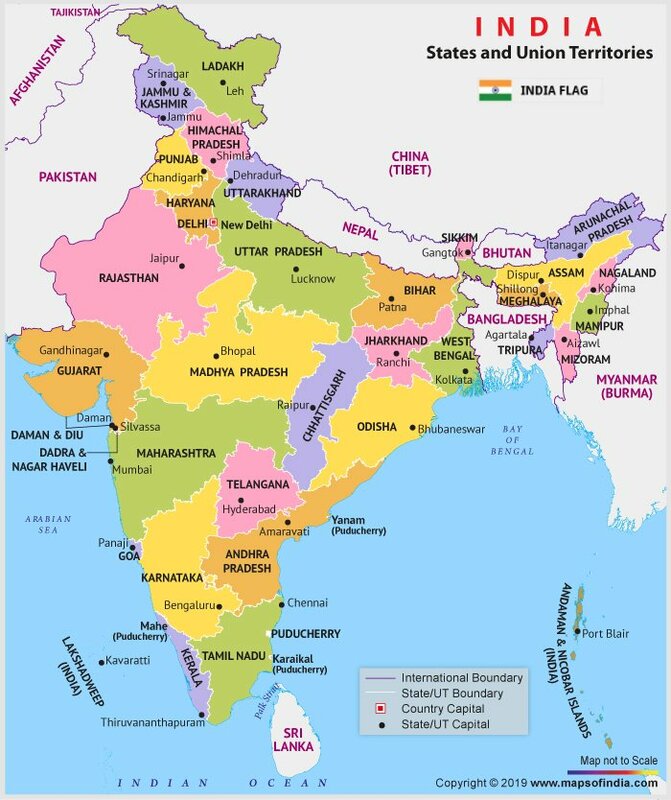 The southern region of India is triangular in shape consisting of four States, with Arabian Sea, Indian Ocean and the Bay of Bengal surrounding it. These states are Andhra Pradesh, Karnataka, Kerala and Tamil Nadu, which make the map of South India. The dominant features of South India are the tropical climate, lush green vegetation in the coastal areas and the architecture, culture, languages and lifestyle of people in spite of repeated exposures to alien influences. After India's independence from the British rule, South India was linguistically divided into these four States. For - South India Roadmap. Each of these States has different scenery, festivals, architecture and subtle cultural variations, and has its own fascinating tourist attractions. In the maps of South India you will see the main tourist destinations of this charming land.